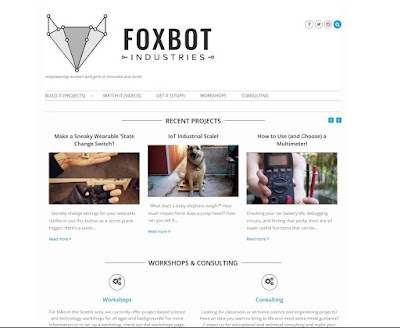 Check out our new awesome website! 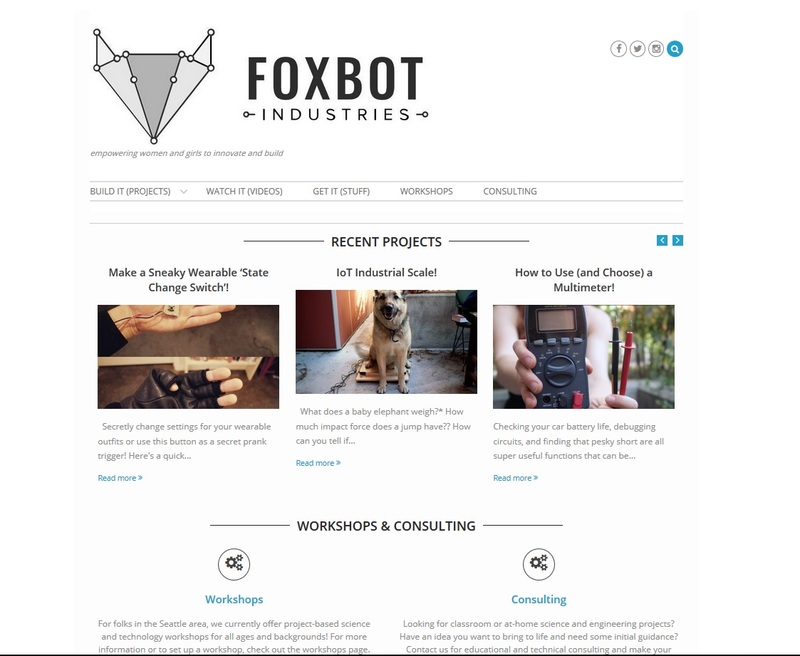 Should help ya find fun & interesting projects a bit easier, and keep you up to date with our content! 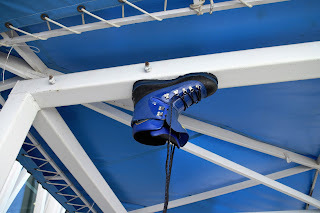 Walking across large, metal pipes in search of urban adventure, my inner voice joked, "Hey, magnet shoes would be handy right about now." Well, no arguing with that! Off to build my very own magnetic shoes! 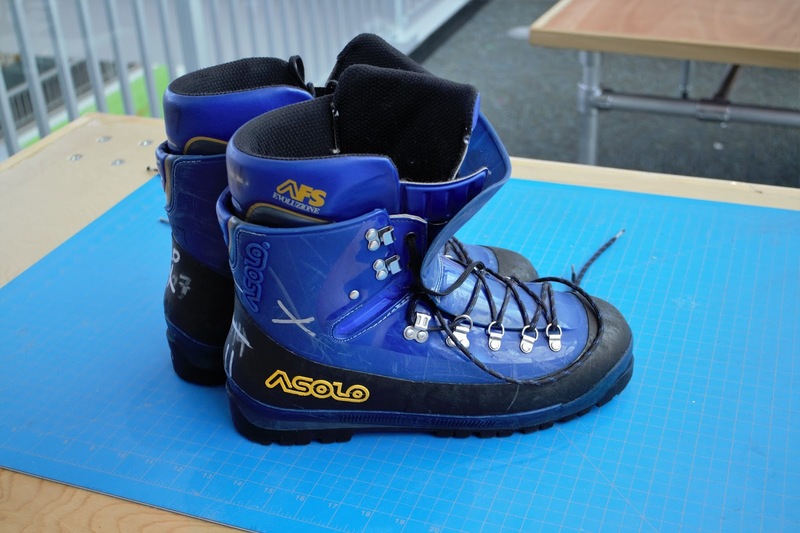 This tutorial gives an overview of my build process for a magnetic boot prototype in hopes of inspiring you to build and test your own whimsical ideas! 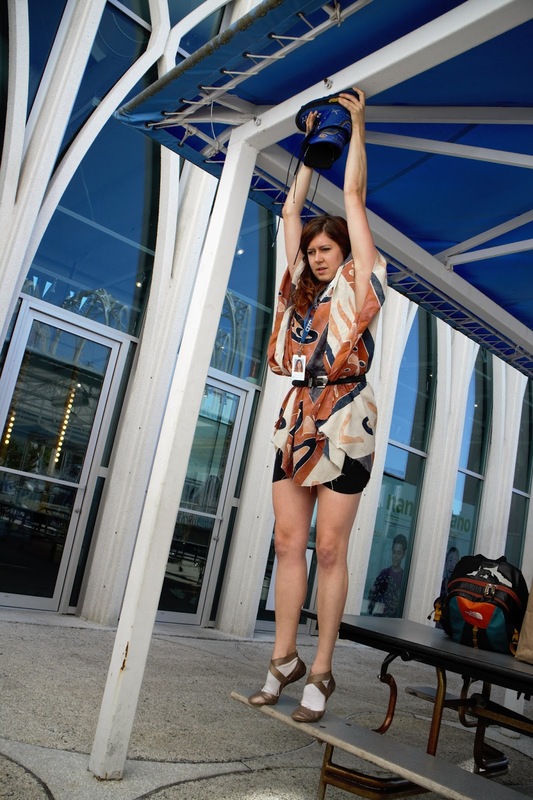 'Cause seriously, making ideas come to life feels like a superpower. 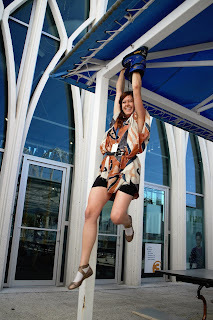 These had to secure my feet (aka no slipping out) and withstand my body weight. I found a pair of sturdy (although rather large) snowboard boots at a local thrift store which work as a first prototype. 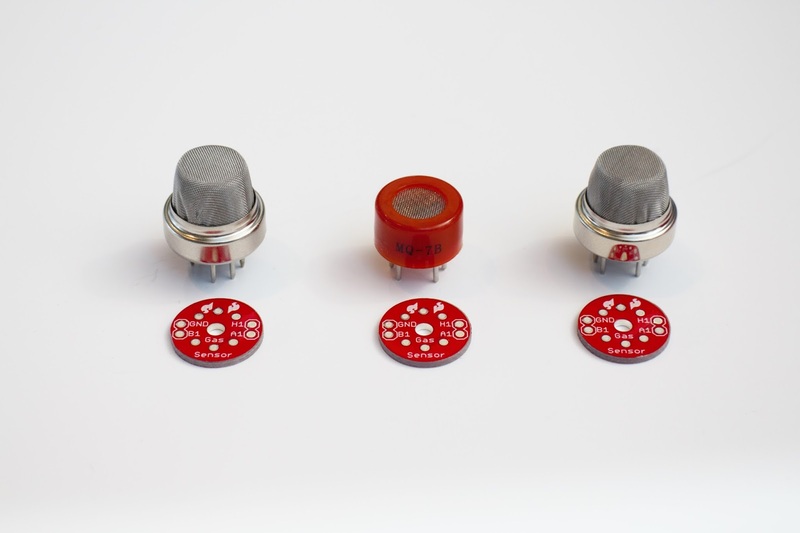 Small, thin-ish (< 1/4" thick) magnets with a 10 - 15 lbf rating (see previous step). Use screws with a length shorter than the sole of the shoe (so they don't poke your lil' feetsies.. or add some sort of rubber sole inside). Supposedly, the washer helps increase the magnetic field of the exposed surface. I haven't calculated this or done any serious research, so at this point it's just a design suggestion. 1. 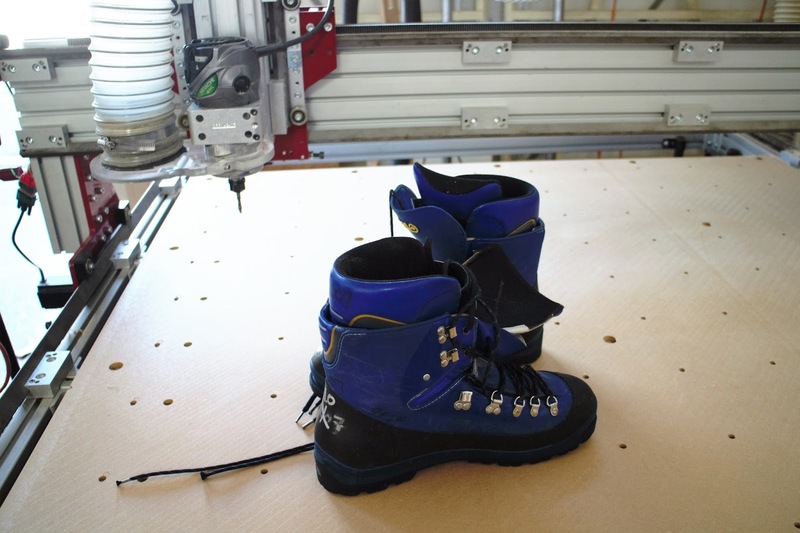 Level bottom of the boot with a CNC router (or other available method). 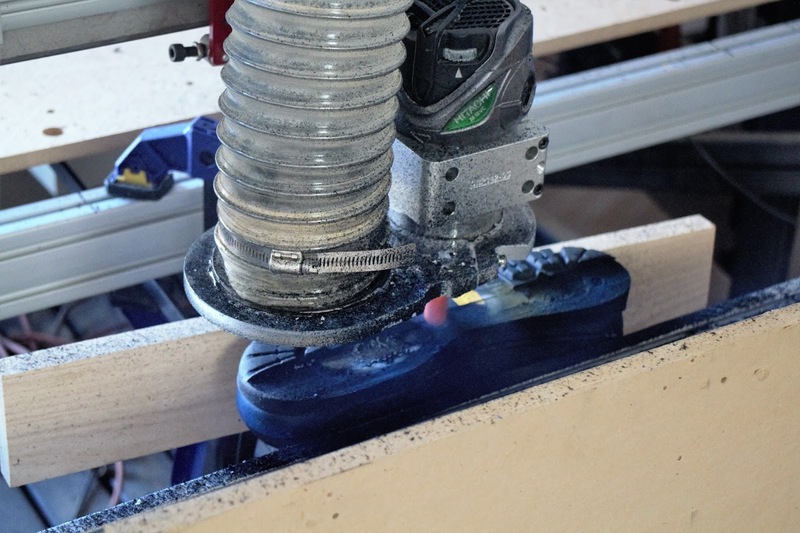 Clamp the boots to the CNC table with the bottom facing up -- a piece of wood was helpful to keep the boots straight. 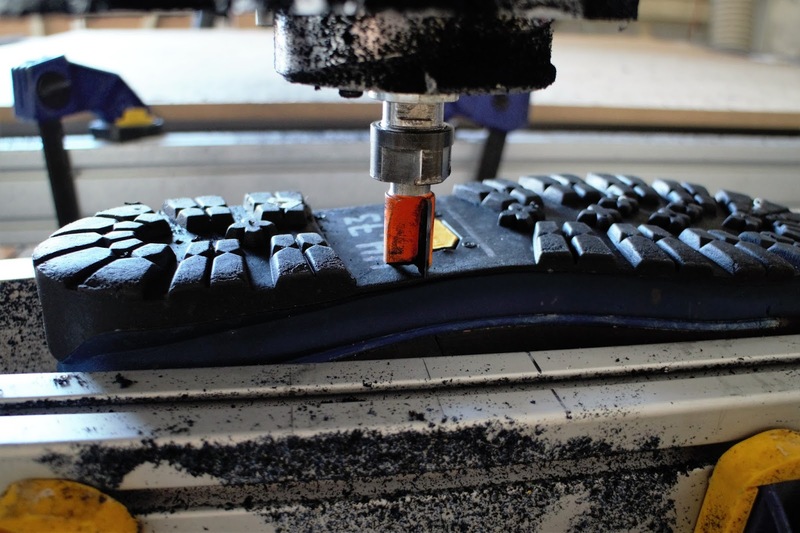 Set the zero point of the CNC to be the lowest point on the sole of the shoe, then use a large bit (ours was 3/4") and level the sole of the shoe to the zero point. 2. 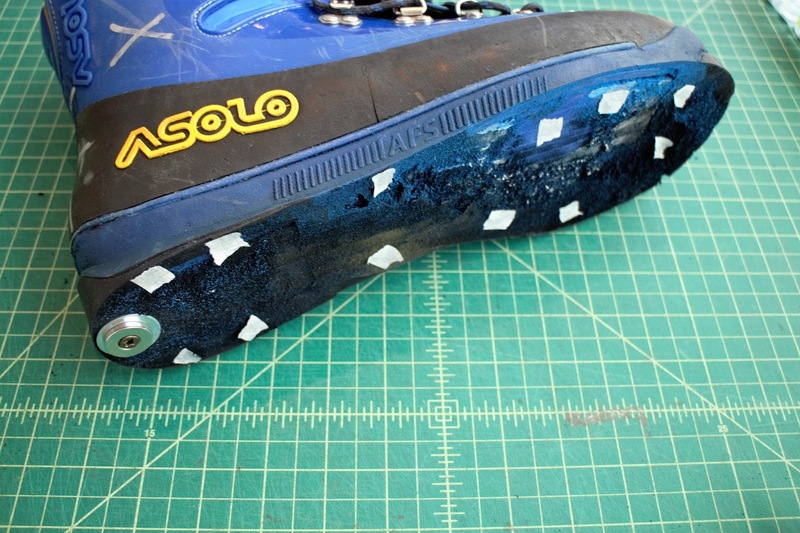 Mark boot with tape for location of magnets. 3. 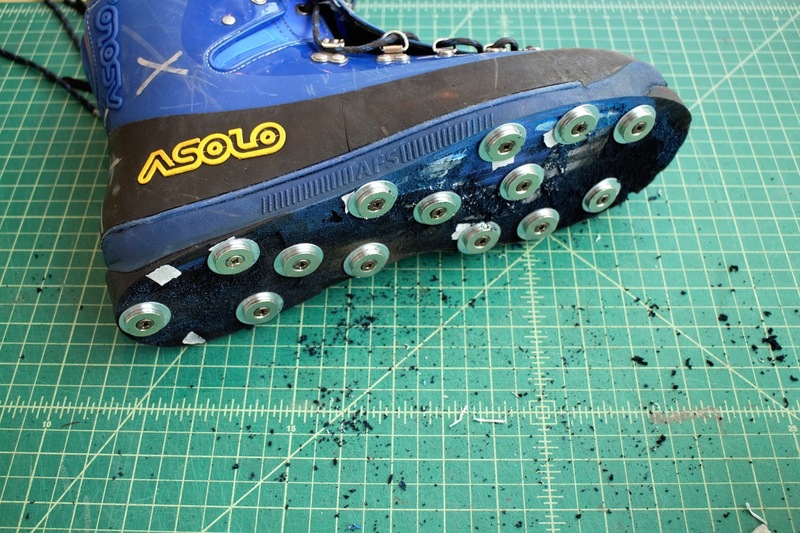 For each magnet, drill in screw, magnet, and washer into the bottom of shoe. To test the boot, I stuck it on a roof beam and pulled downwards. I added more magnets and repeated this until I couldn't pull the boot off by hand, then (slowly) tried to hang from it. 1. I ended up using waaay more magnets than I thought, so it is probably worthwhile to calculate how the individual magnet fields are adding together. 2. 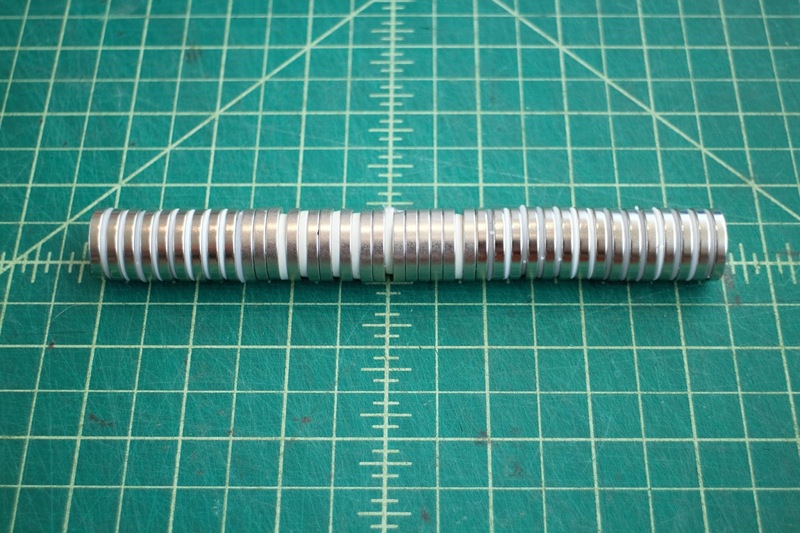 Magnets need to be level to maximize the total magnetic field strength. 3. 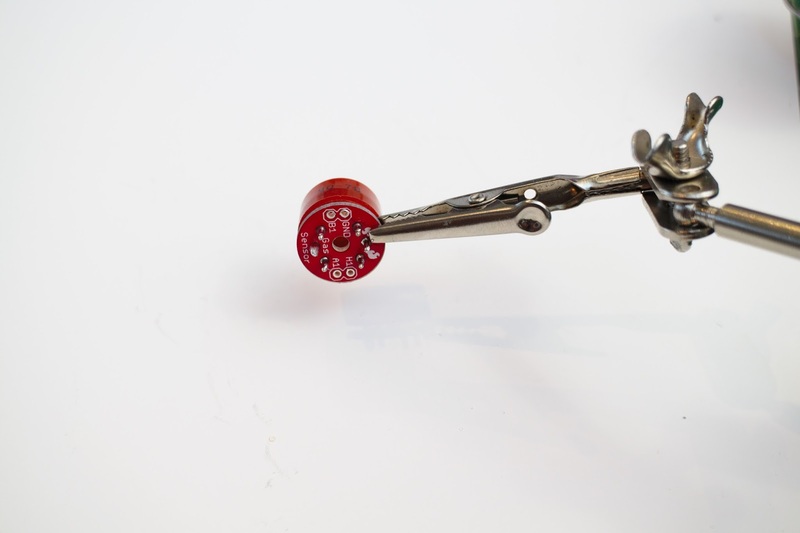 There is a limit to how close you can place each magnet depending on the shape and size of its magnetic field. 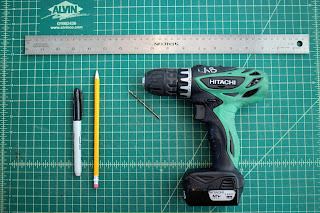 Smaller, round magnets are easier to work with than large, rectangular magnets. 4. Don't place magnets close to parking passes (or other electronic devices). Also keep them far, far away from large containers of screws. ​At this point, my magnetic shoes are more magnetic "gloves" (lol thanks @jayludden :D). But! 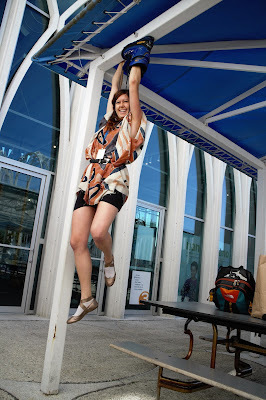 I can successfully hang from one boot, so the concept works! The lessons learned from testing will help improve this prototype design. 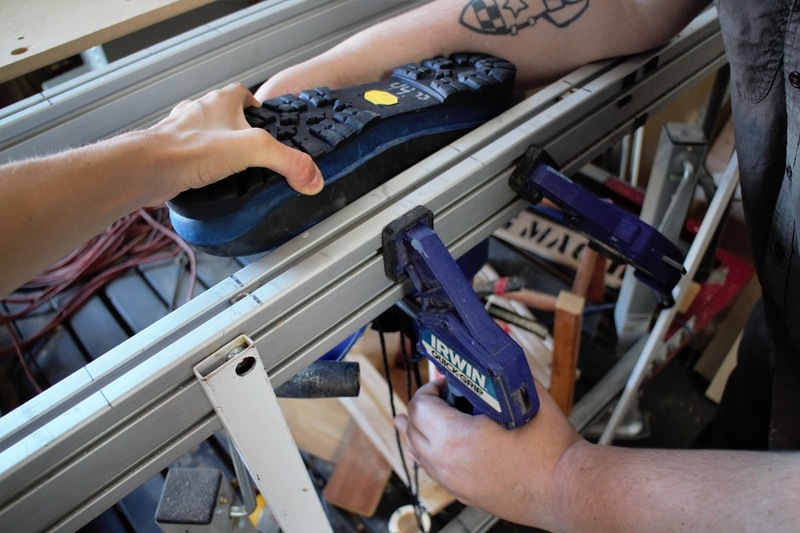 Currently awaiting more magnets for the second boot (used most of them for the first one), trying different magnet orientations, and searching for a spot to test them upside down. Stay tuned, will have them up and running, er, well, hanging, soon! Many thanks to: ​Tinker Tank at Pacific Science Center for being my build and test center, and to ​Richard Albritton for the CNC help! 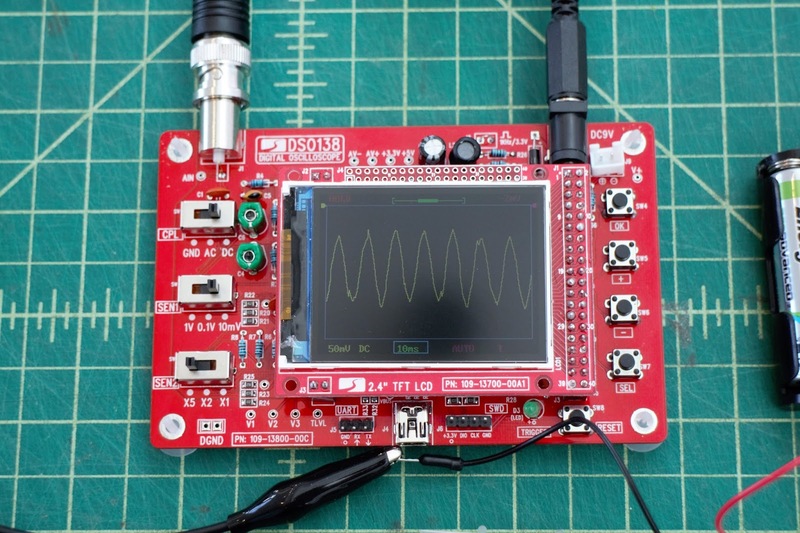 Learn how to build and use a super simple $30 oscilloscope perfect for electronics hobbyist applications. It's also a great way to get started using some of the fancier oscilloscopes ! 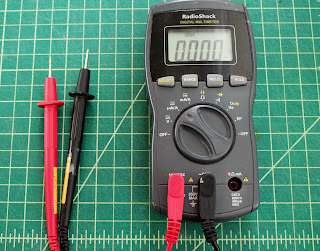 You can zoom in and out of the display grid by adjusting the "Volts per division"* or "Seconds per division". 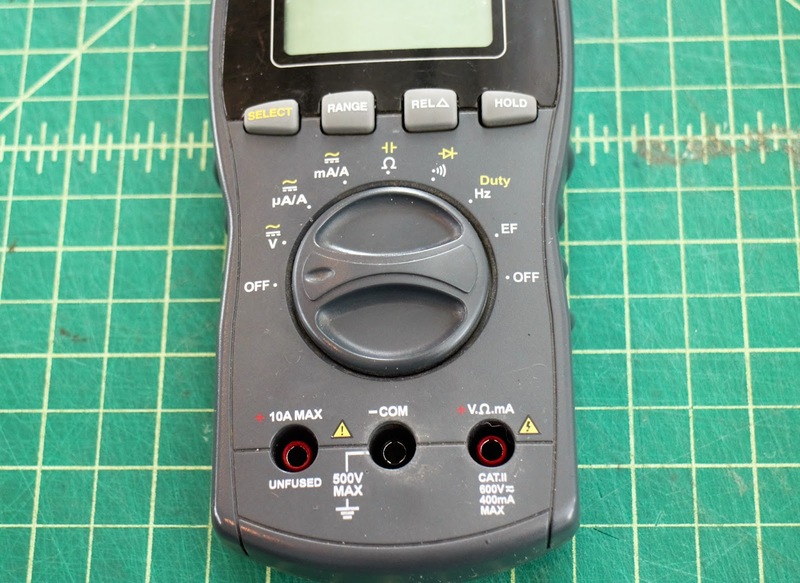 On this oscilloscope, the voltage adjustment switches are on the left side (bottom two switches), and they let you zoom out to as much as 5 Volts ("V") per division, and zoom in to 10 mV per division. *"Per division" means the size of the squares, e.g. 1V per division means that each square is 1V in height, 1 second per division means that each square is 1 second wide. 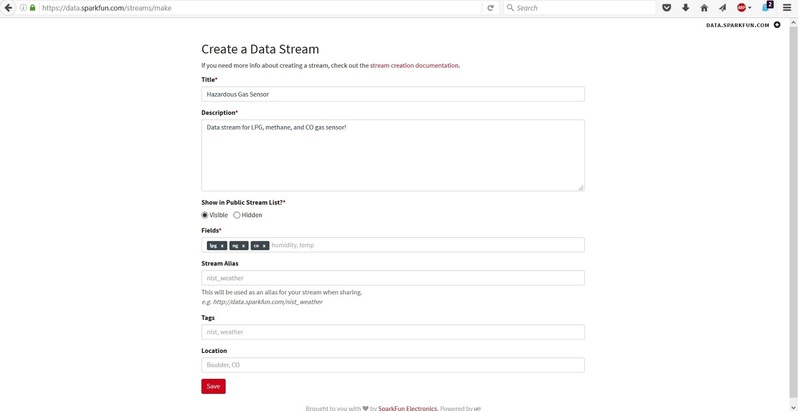 ** Be sure that the time scale is selected (will be highlighted with a box around it -- this is the default selected setting, change settings using the "sel" button, described in more detail in the next section. 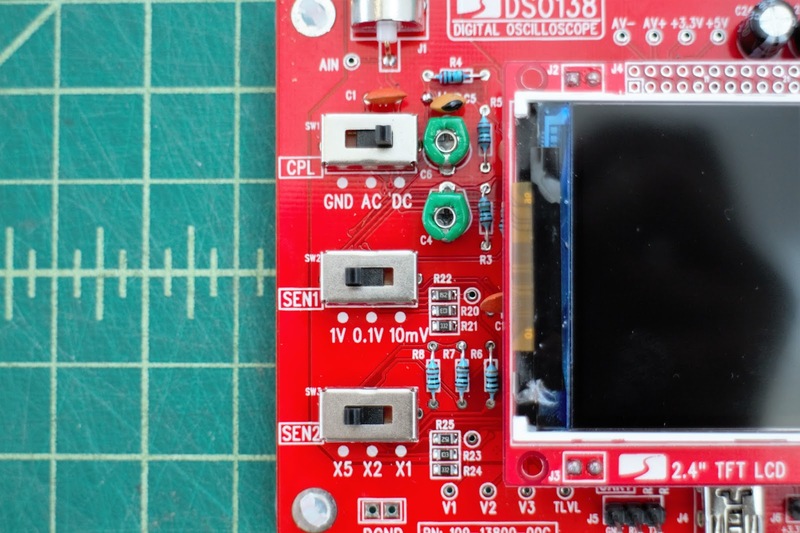 This oscilloscope has all the expected features of larger, more expensive 'scopes, and also is a great introduction to some of the more complex versions. 1. 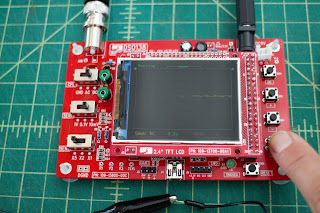 The "ok" button (very top button): Pushing it once takes a snapshot of the screen, which can be saved to the oscilloscope. 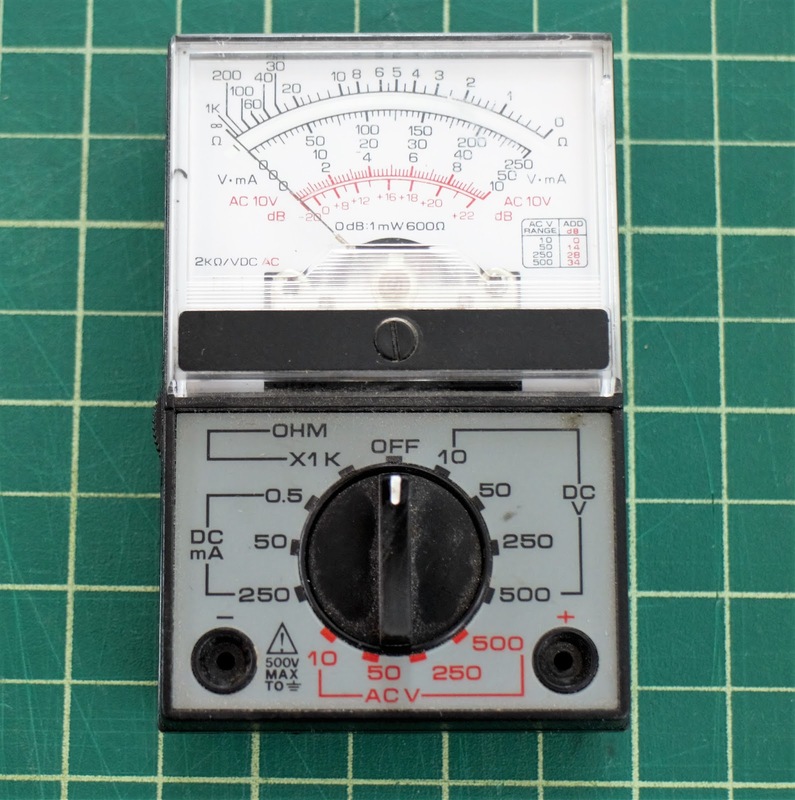 Holding this button down displays key numeric values about your signal, like the maximum and minimum voltage, signal frequency, etc. 2. The "+" button: Similar to an up arrow key, pushing this button allows you to sort through options. B. 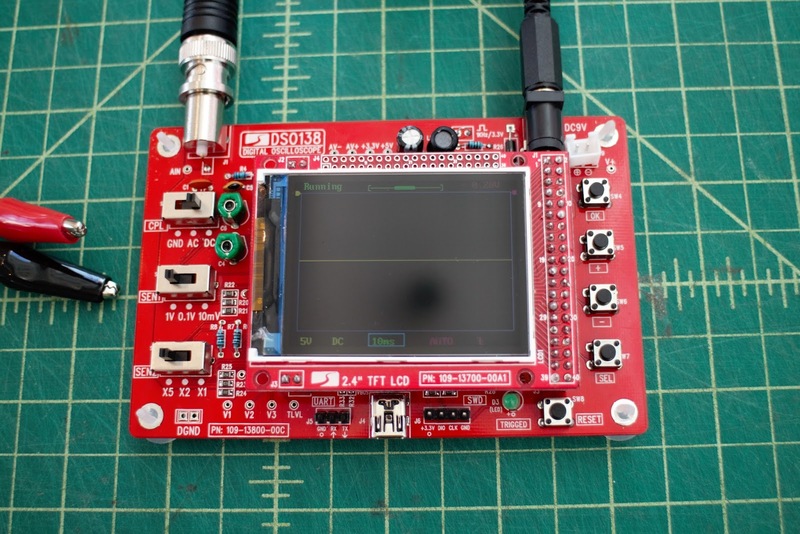 Set how the oscilloscope display refreshes - "Auto", "Norm," or "Sing". More on these in the next section. 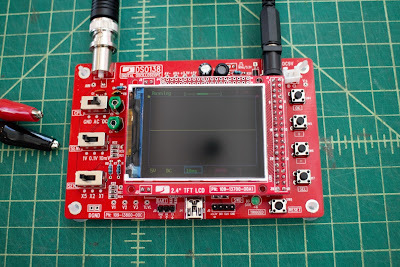 Oscilloscope triggers cause the oscilloscope to display a signal. Triggers are set at a specific value, or "trigger level," along a specified direction, or "trigger slope" (more info below). The trigger helps to display the exact electrical signal that you want, so that you get a stable display and measurement. 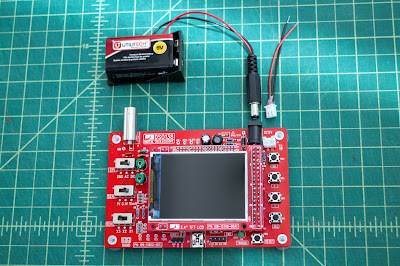 In this 'scope, the trigger is set on the right side of the display and the LED at the bottom flashes when the trigger is detected. 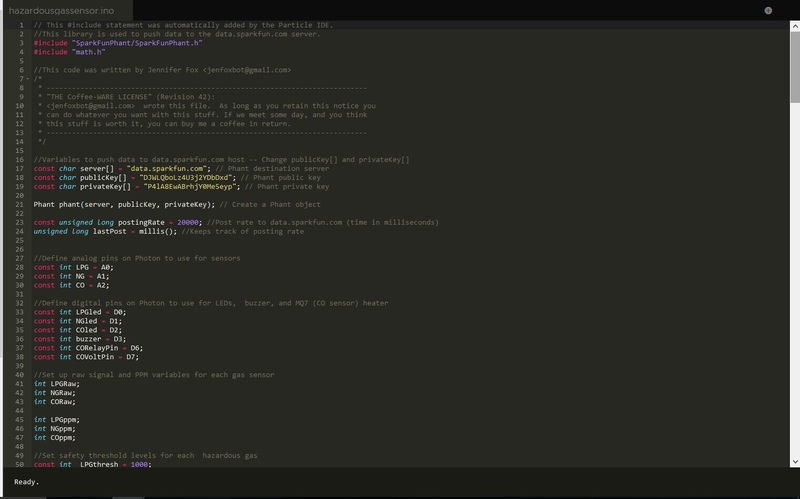 Automatic ("Auto"): Display continually refreshes, regardless if triggers are met. Normal ("Norm"): Display only refreshes if the trigger is met. Single ("Sing"): Same as normal mode, waveform display is held after a trigger has been detected. 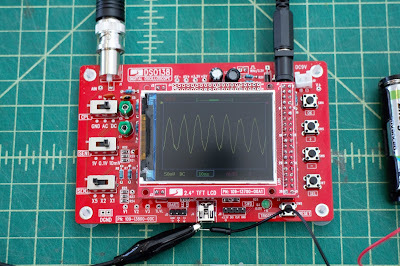 The an oscilloscope kit in this tutorial takes about 2 -3 hours to assemble (instructions here), but is definitely worth it because many reasons! 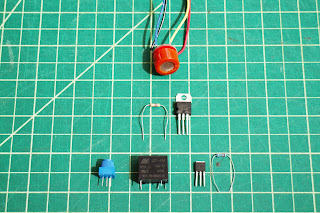 Here are a few: It's a great way to learn circuit components, get familiar with schematics, and practice soldering (and de-soldering....). And, honestly, it's pretty relaxing. 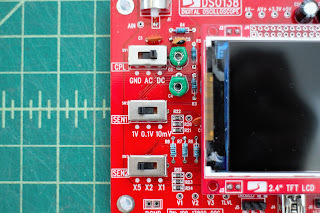 Once you've got the 'scope assembled, it needs 9V and about 0.1A. There are two power ports: a barrel jack and a male JST connector. 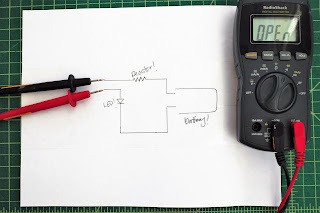 You can use a 9V battery with the barrel jack (OMG it's portable! 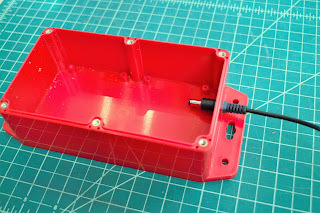 ), or a power supply with the JST connector. 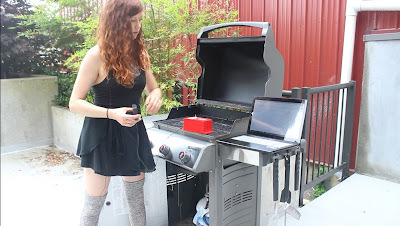 Be sure to use less than 12V or you risk heating up the board and possibly damaging it (don't let the black smoke out!). 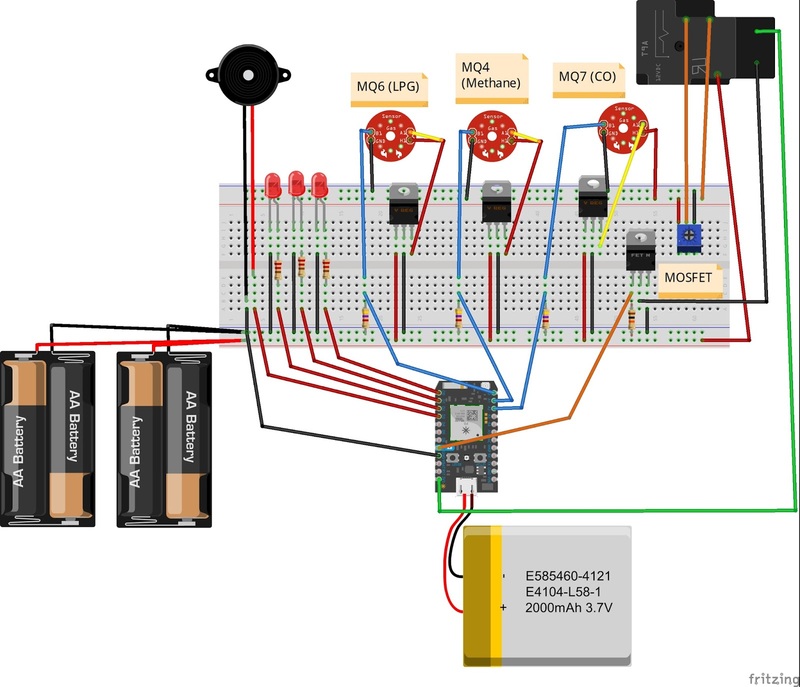 This tutorial shows you how to build a web-connected "canary" monitor for three hazardous gases: Liquid Propane Gas ("LPG"), Methane (aka natural gas), and Carbon Monoxide ("CO") . 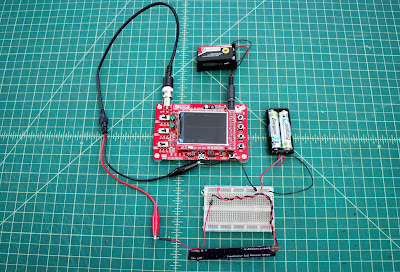 Using the Particle Photon microcontroller, the sensor readings are converted into parts-per-million ("PPM") and uploaded to the data.sparkfun.com web service. *Please note that this is solely a movie reference -- gasoline fights should probably be avoided in real life. 4. 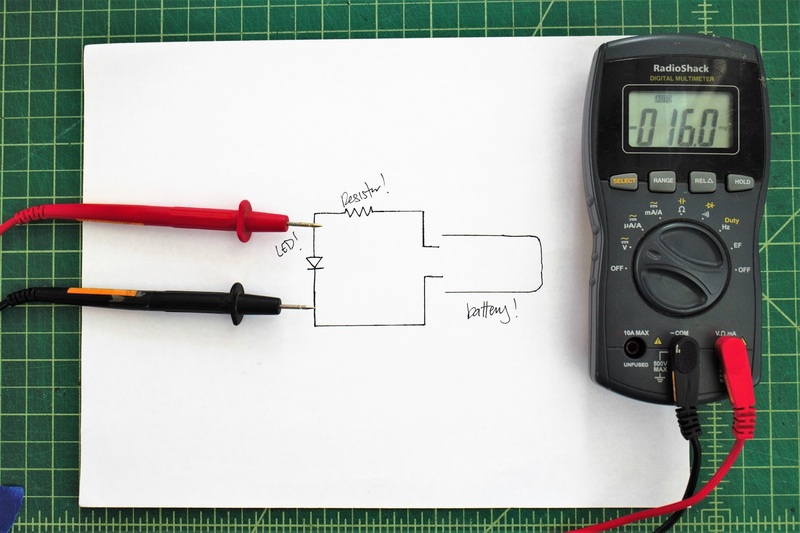 Here's a helpful overview on the N-Channel MOSFET. 5. 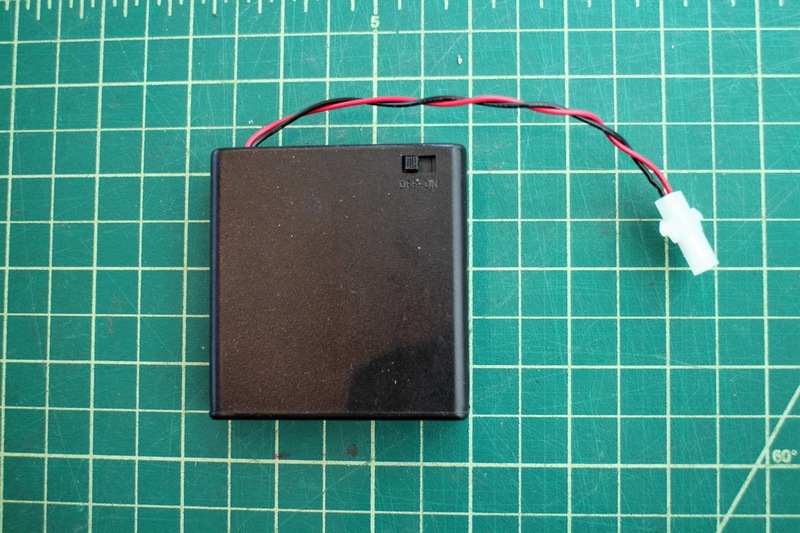 For powering the Photon, here's a thorough guide on the Photon Battery Shield. 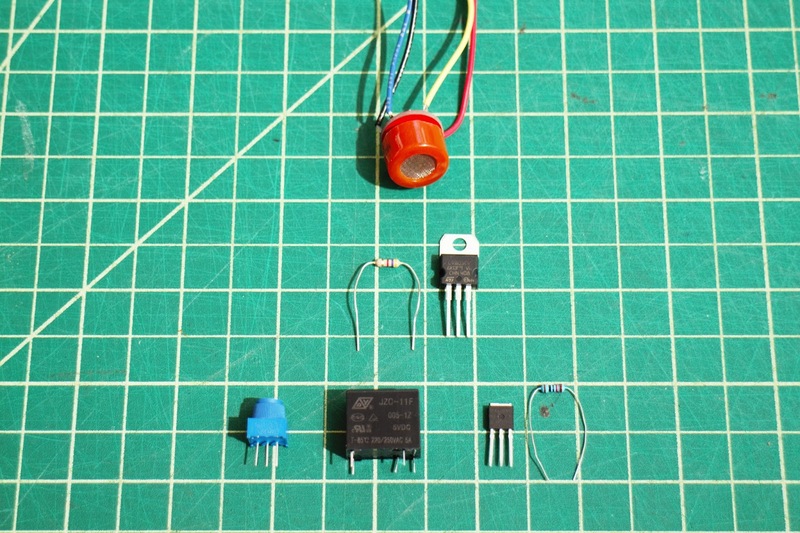 The gas sensors used in this project require a fair amount of current, about 0.17 A each at 5V. 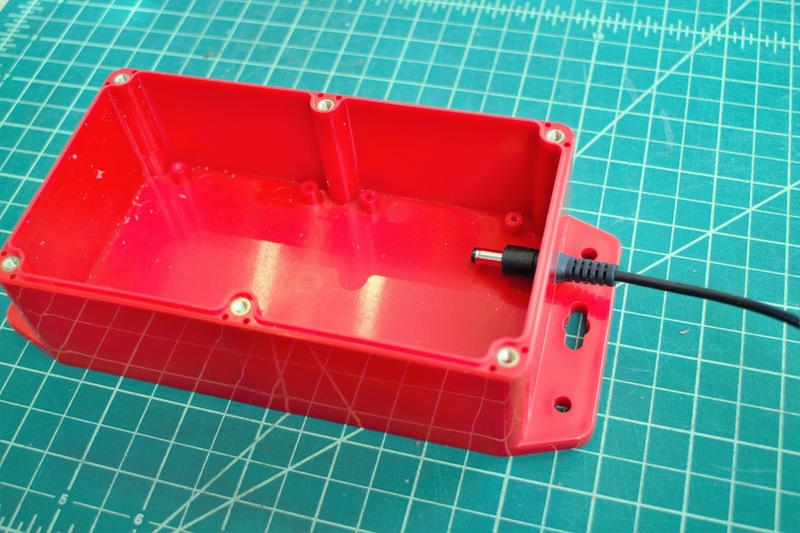 To make the system portable, we'll need a high capacity battery. One easy, and affordable, option is to use four (rechargeable) AA batteries in series. 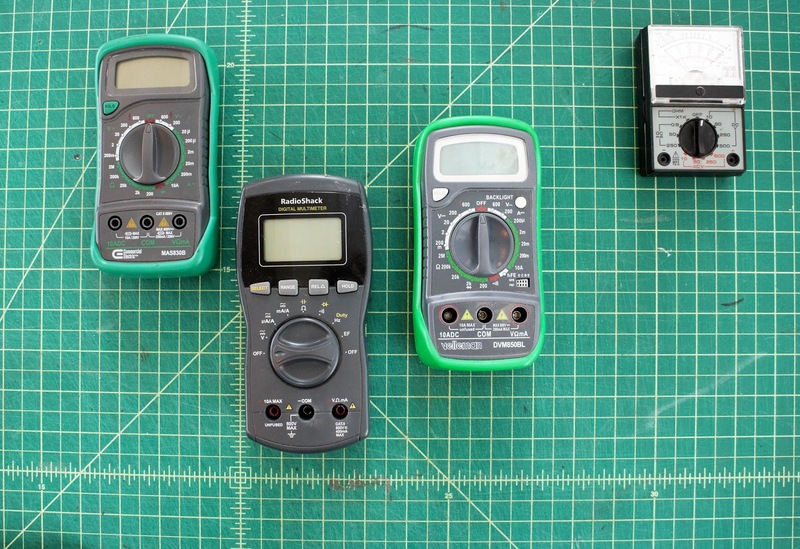 These batteries will last about 4 hours. 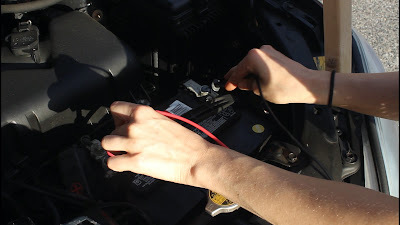 Another option is to use a lithium ion battery ("LIB"). 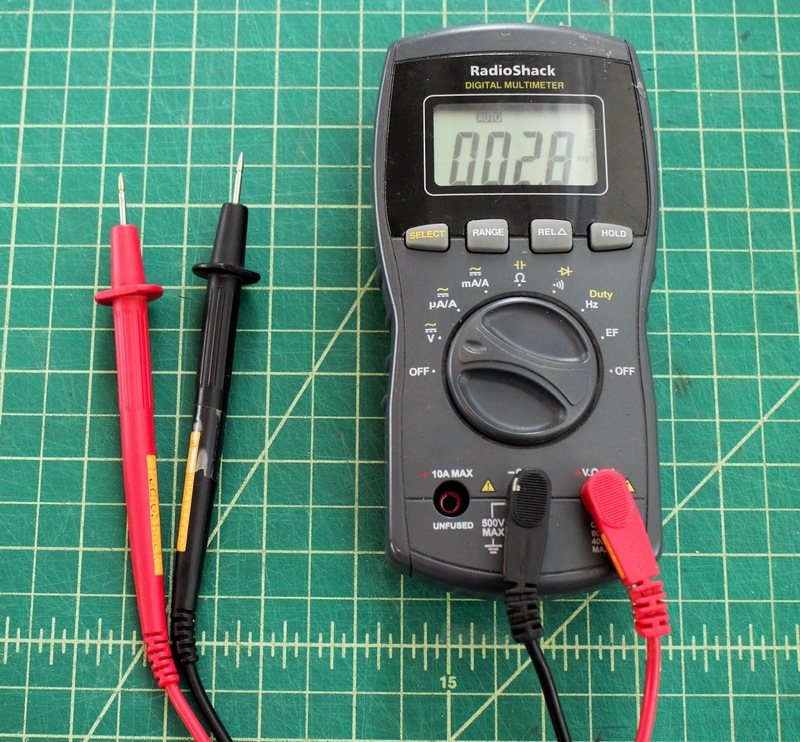 LIBs have a higher capacity than AAs, but typically run at a lower voltage. If you go with this option, you may need to include a correction factor when you calculate the sensor value or boost the battery voltage with a transistor or other component. If all of this sounds confusing, here's a more thorough tutorial. 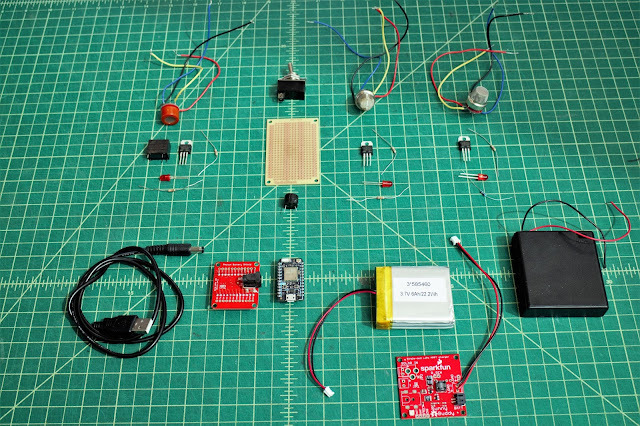 Here's a Wish List that includes all the necessary components for this project! 1. 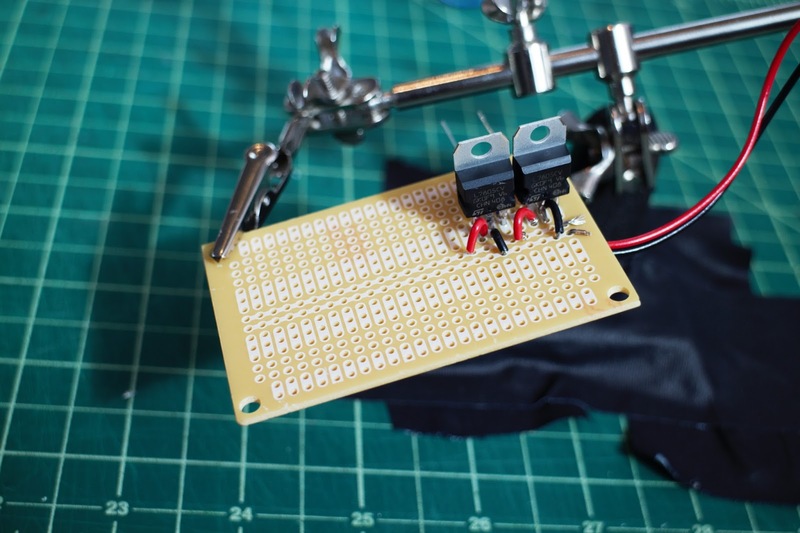 Solder gas sensor breakout boards to gas sensors. Orientation doesn't matter, just be sure that the silkscreen (aka labels) are facing down so that you can read them (had to learn that one the hard way..). Solder wires to the gas sensor breakout board. 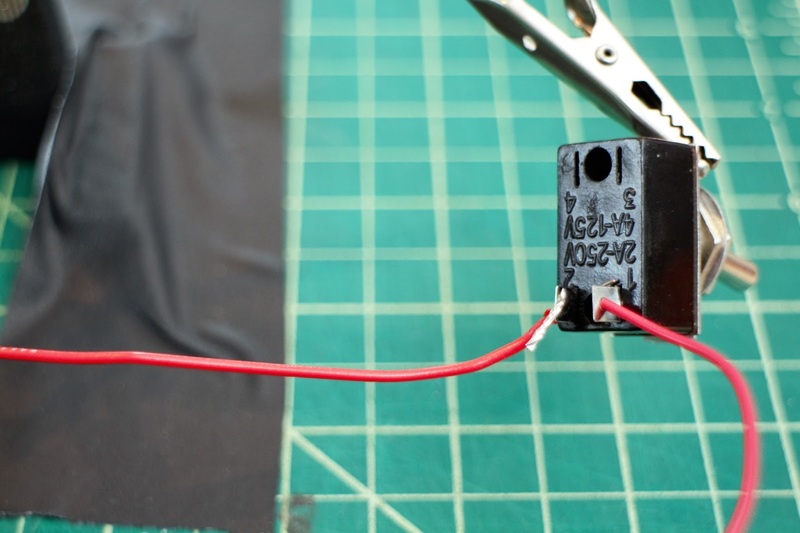 *Aside: The MQ7 sensor requires cycling the heater voltage (H1) between 1.5V (for 90s) and 5V (for 60s). 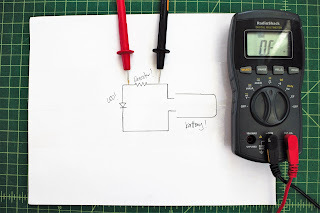 One way to do this is to use a relay triggered by the Photon (with the aid of a MOSFET and potentiometer) -- when the relay is not powered, the voltage across H1 is 5V, and when the relay is powered the voltage across H1 is ~ 1.5V. 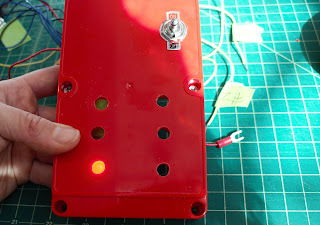 Connect relay Normally Open ("NO") pin to H1, and the Normally Closed ("NC") pin to middle potentiometer pin. 7. 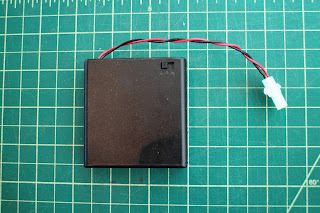 Connect lamp switch between LIB and Photon battery shield -- recommended to use an extra JST cable for this to keep the LIB battery cable in tact (and make it easier to install the lamp switch). 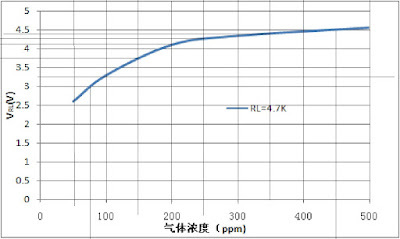 Once you have the sensor voltage, you can convert that into a parts per million ("PPM") reading using the sensitivity calibration curve on page 5 of the gas sensor datasheets. 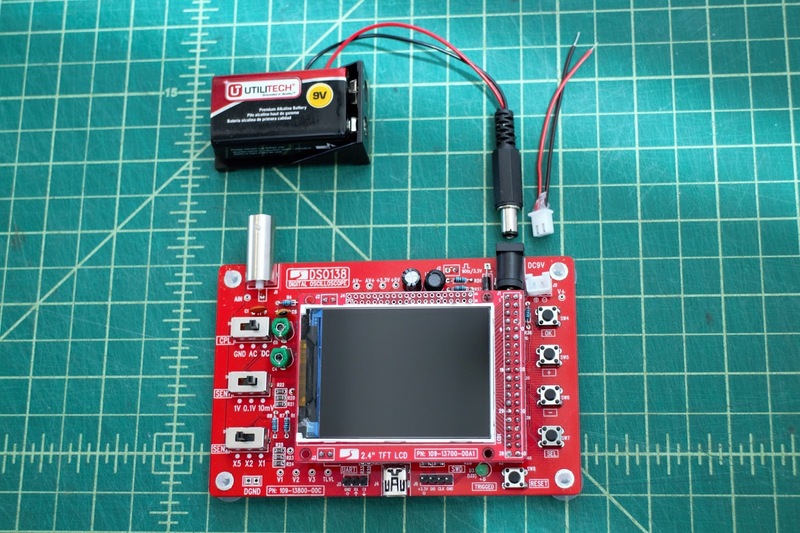 To do this, recreate the sensitivity curve by picking data points from the graph or using a graphical analysis software like Engauge Digitizer . Here's the raw program code. 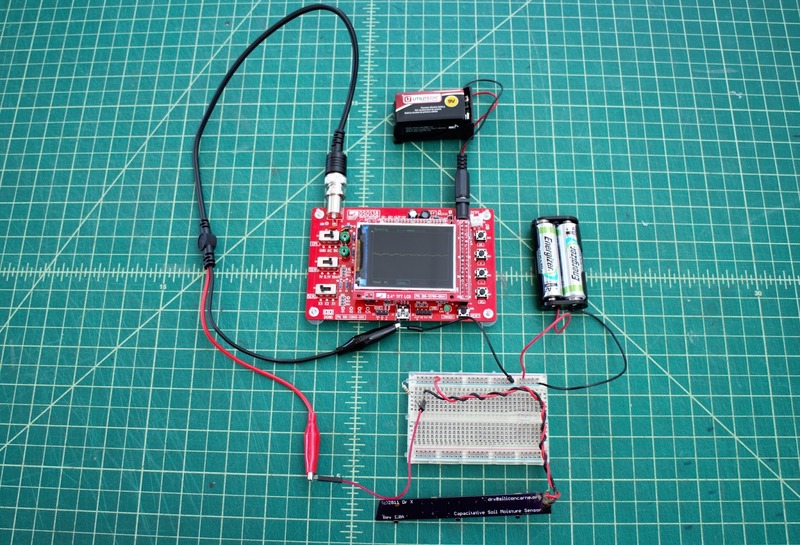 To monitor the Photon output, use the Particle driver downloaded as described in the ["Connecting Your Device" Photon tutorial](https://docs.particle.io/guide/getting-started/connect/photon/). Once this is installed, in the command prompt, type `particle serial monitor`. This is super helpful for debugging and checking that the Photon is posting data to the web. 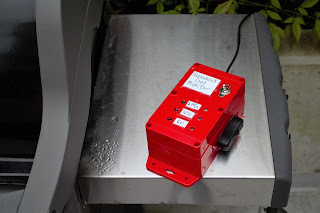 Now we get to test and employ our gas monitor! 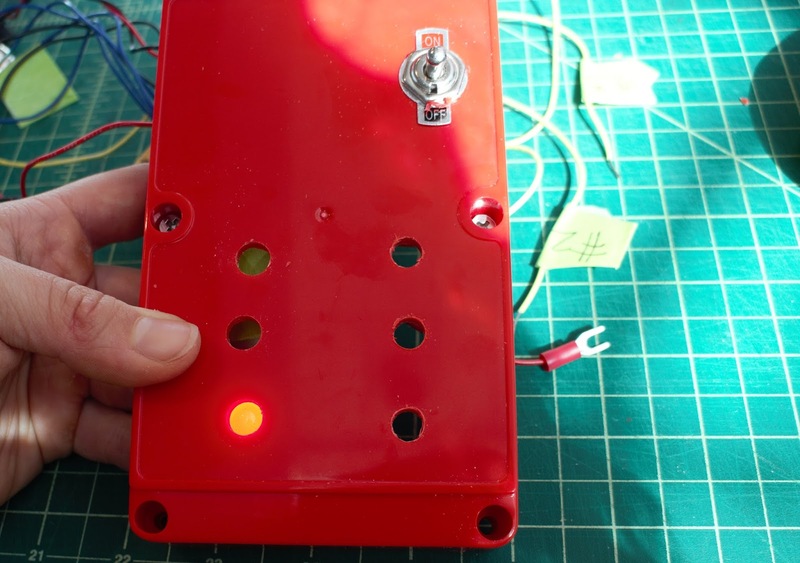 Turn the batteries for the gas sensors on using the toggle switch, wait about 3 - 5 minutes, then turn the Photon on with the lamp switch (the gas sensor heater coils take some time to heat up). 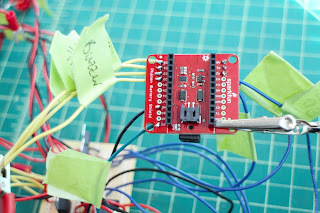 Check that the Photon is connected to WiFi (on-board LED will slowly pulse light blue) and is uploading data to the server. 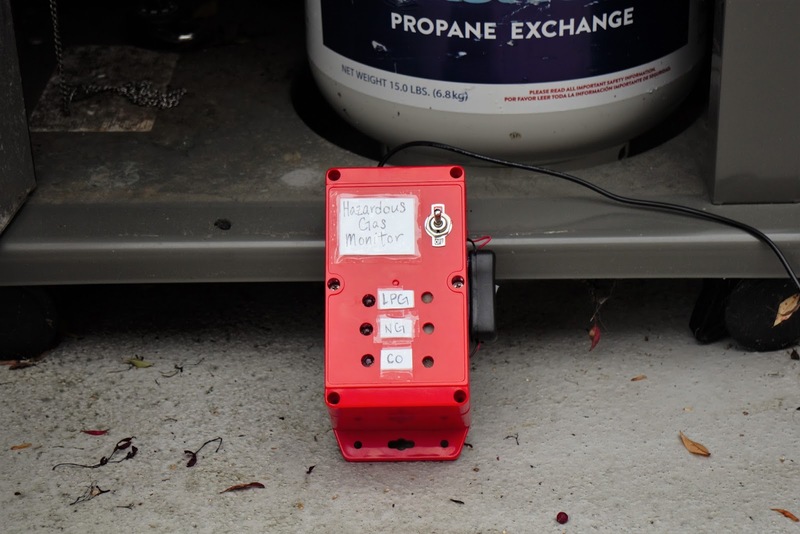 Also check that the gas sensor readings increase when in proximity to hazardous gases -- one easy, and safe, way is to hold a lighter and/or a match close to the sensors. 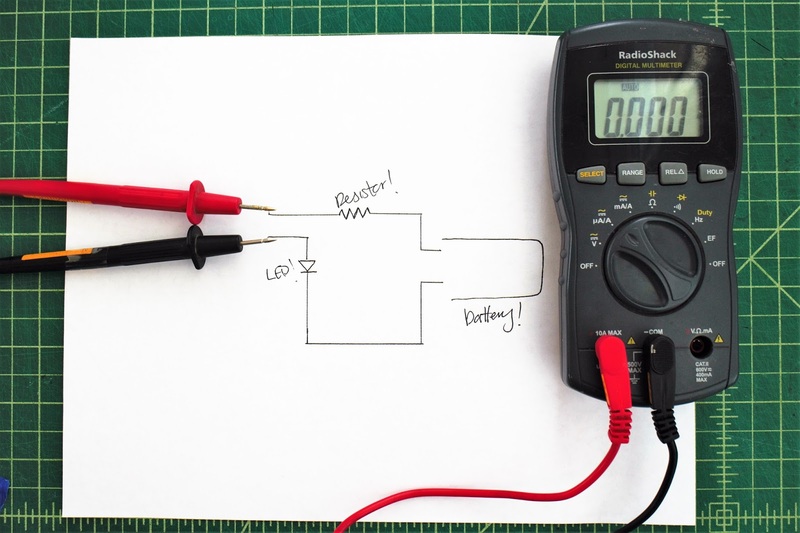 This project is a perfect excuse for a hands-on chemistry lesson! Use the monitor to learn the fundamentals of various gases -- what kinds of gases are in our environment, how are different gases produced, and what makes some of them hazardous or dangerous. Study the local environment and use a lil' math to record and plot LPG, Methane, and CO in specific locations over time to see how the levels change. 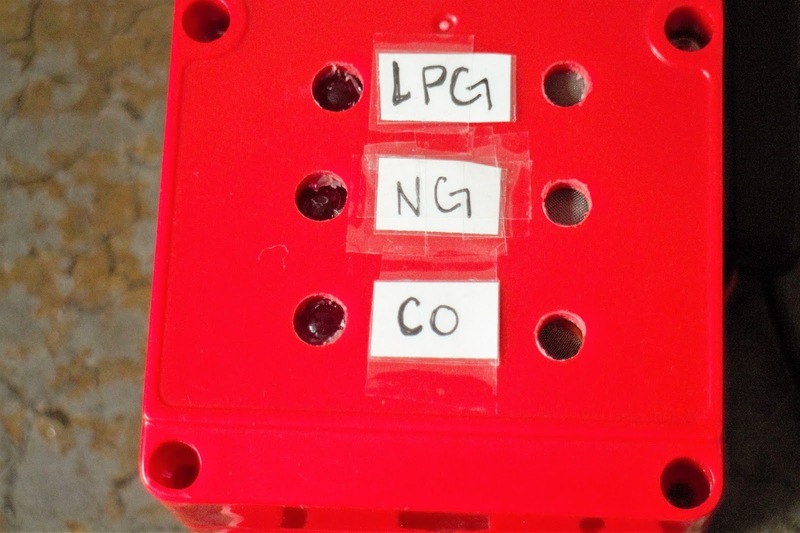 Use the data to help determine what causes changes in the gas levels and where/when gas concentrations are the highest. 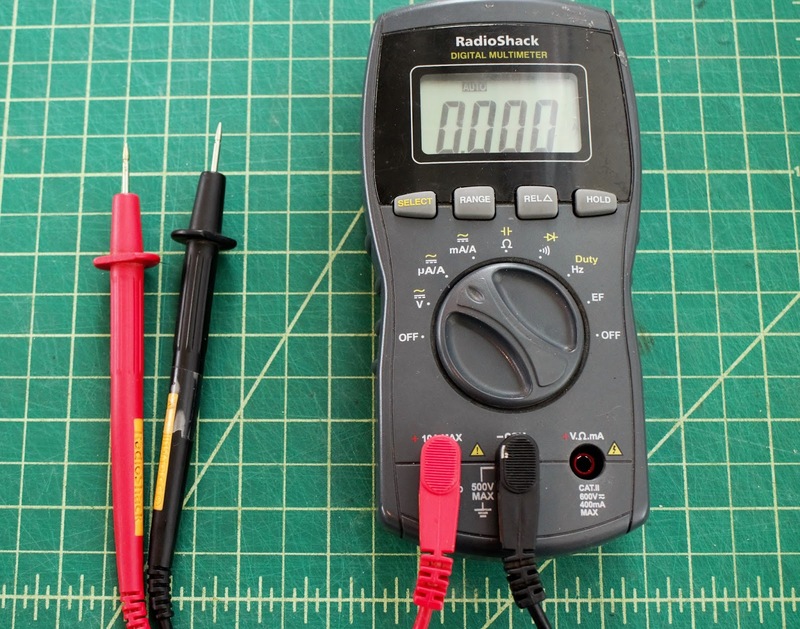 First of all, what the heck is a multimeter?? Excellent setup question! 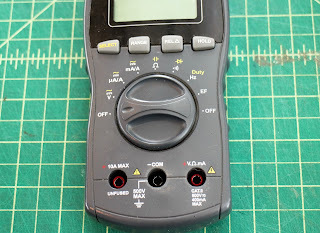 It's a handheld device with bunch of different electrical meters -- hence, multi-meter! 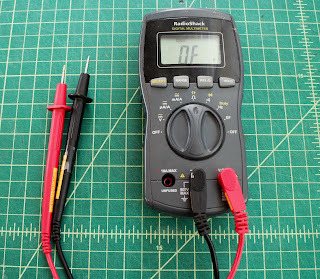 Other than those two main differences, you'll want a multimeter that has separate ports for current and voltage measurements (this is a safety issue, both for the meter and for yourself). Next comes the fun part: features! 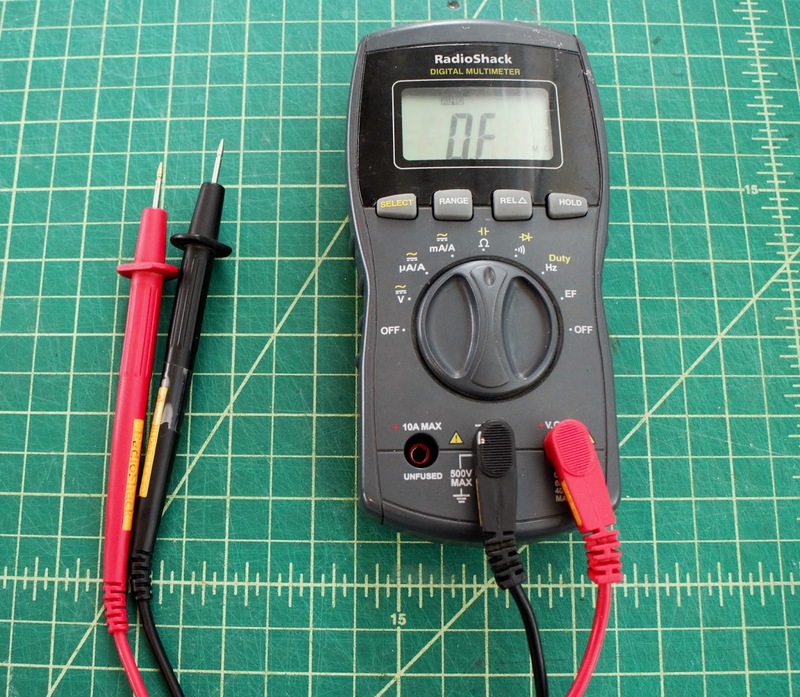 Multimeters all have voltage and current meters (otherwise they'd just be called voltmeters and ammeters! 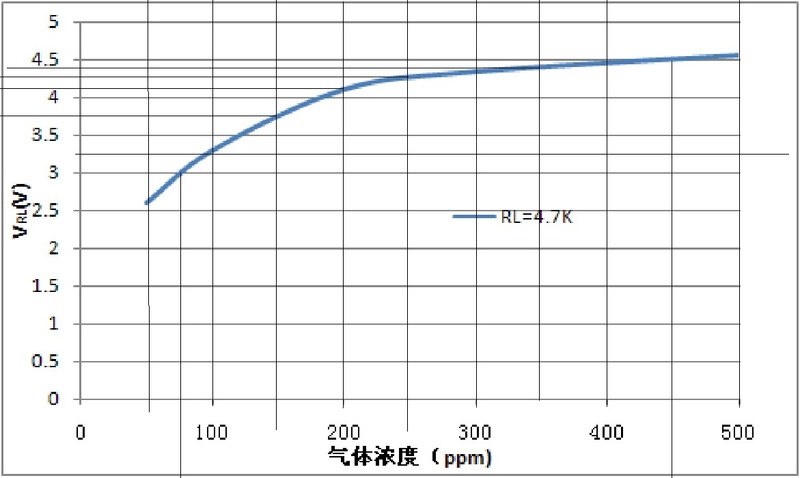 ), and most can also measure resistance. There are a variety of other "extra" features depending on manufacturer and cost (e.g. 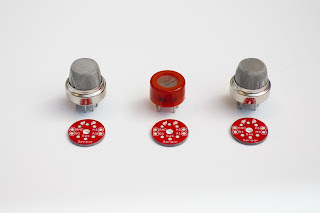 continuity, capacitance, frequency, etc.). 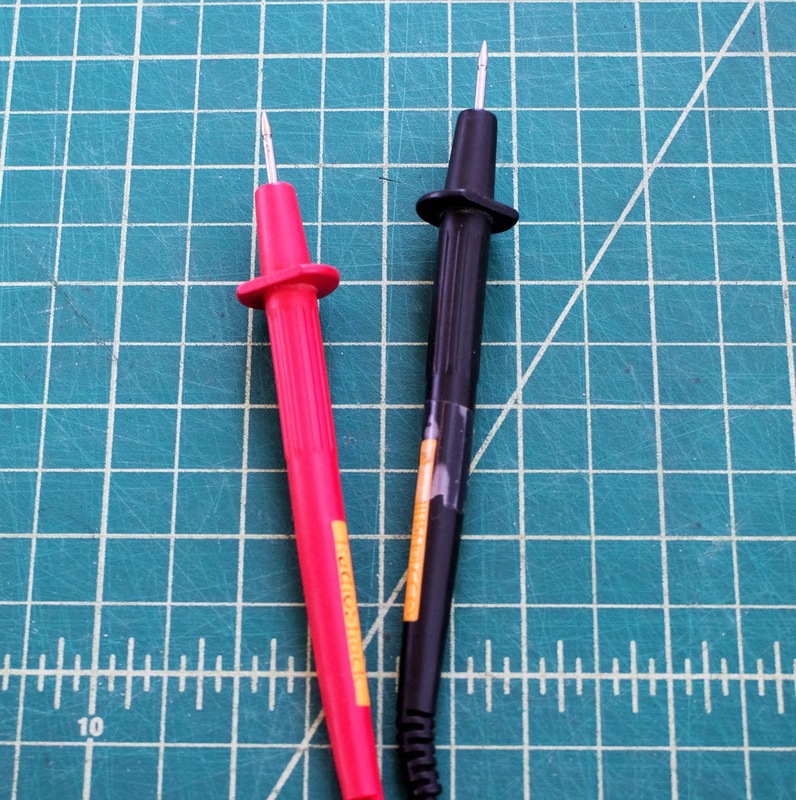 Second-to-lastly, there are a ton of different types of probe leads, including alligator clips, IC hooks, and test probes. Can't decide? Here's a kit that has four different types! My favorite analogy for electricity is the "water flowing through a pipe" analogy. 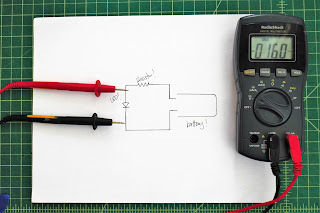 In this analogy, voltage is similar to the water pressure, current is like the water flow (except with current you have electrons instead of water molecules! ), and resistance is akin to the size of the pipe. 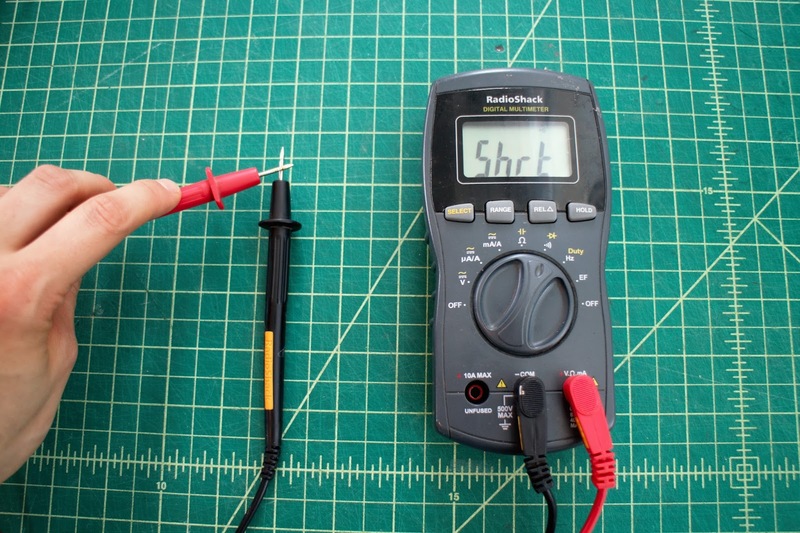 Check out this tutorial for an awesome and thorough overview of electricity. Voltage is basically the "oomph" in our circuit, s so we want to avoid drawing any power from the circuit when we take a voltage measurement. 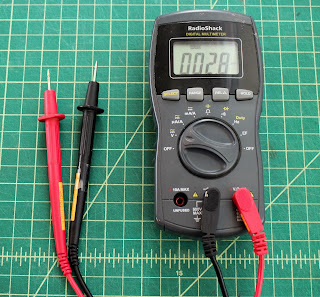 This means we need to measure voltage in parallel with a particular component using infinite (or really, really high) resistance to prevent any electrical current from flowing into the meter. 1. 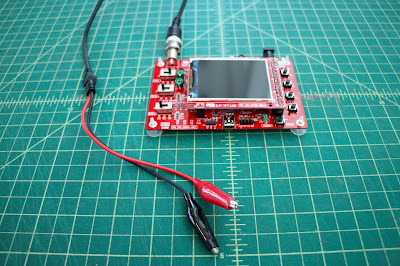 The black multimeter probe goes into the COM port, and the red probe into the port marked with a "V". 2. 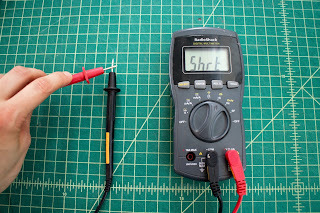 Switch the dial to the "voltage" setting (choose the highest setting if you have a manual ranging multimeter). 1. 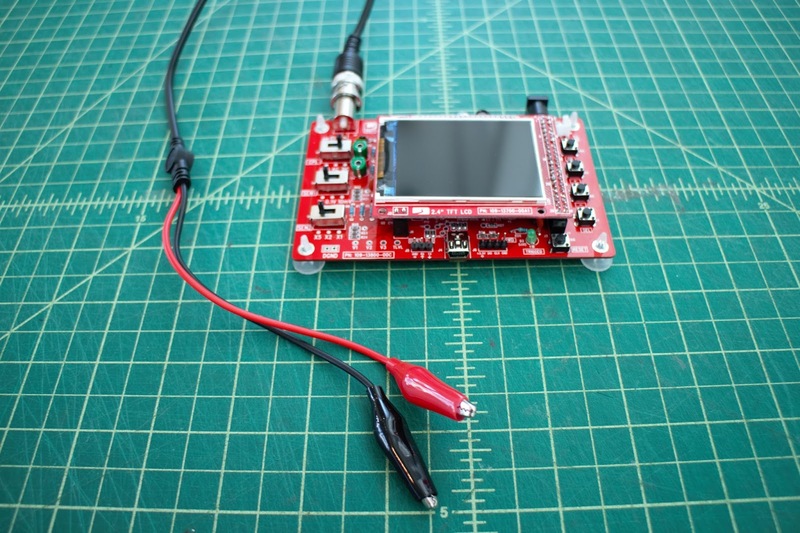 The black multimeter probe goes into the COM port, and the red probe into the port marked with an "I" or an "A" (or "Amp"). Read the meter output! If you're not getting a reading, switch to a lower setting. 1. 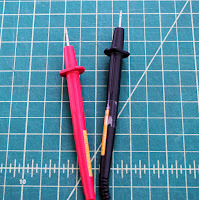 Put the black probe in COM port, and red probe in the port marked with a "Ω" or "Ohm" -- it should be the same port as the voltage port. 2. 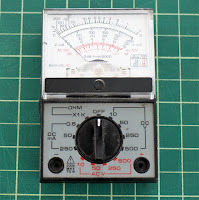 Switch dial to setting marked with a "Ω" (may have to choose approximate range for manual ranging multimeter). 3. 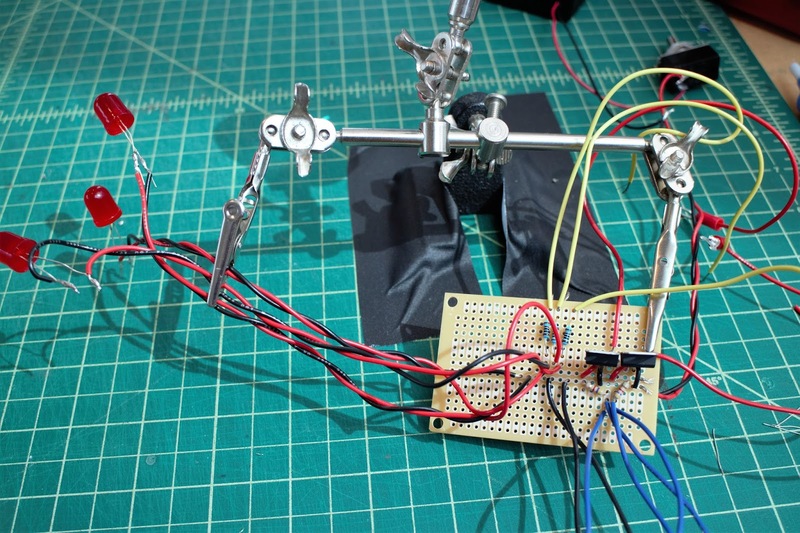 Place probes on either side of the component (orientation doesn't matter). 3. 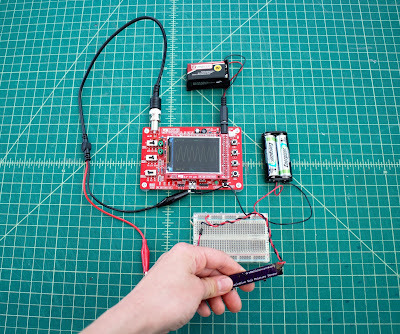 Place probes at points you want to check -- if the meter makes a beep sound, it means the two points are connected. 3. 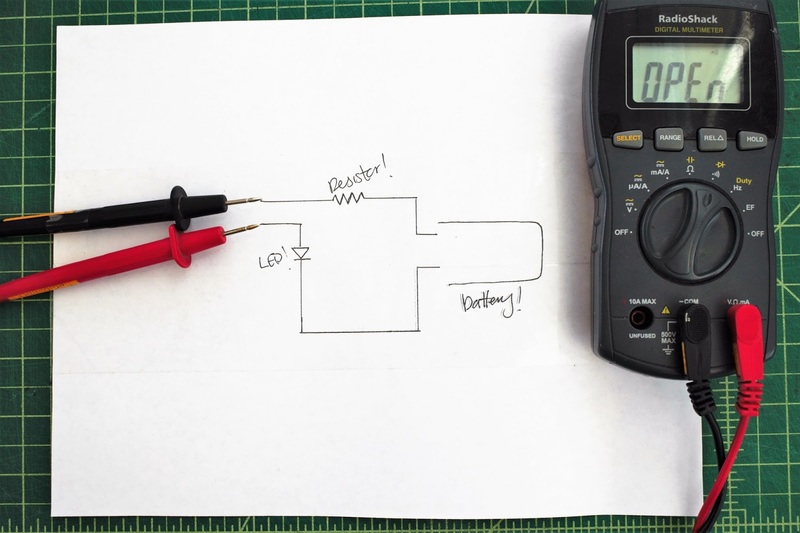 Make a ​lemon battery and measure the voltage and current output.